http://docudharma.com/?search=propecia-lowest-canadian-pharmacies Owned by the Grand Komodo Fleet, the MV Tarata operated as a liveaboard in Indonesia. 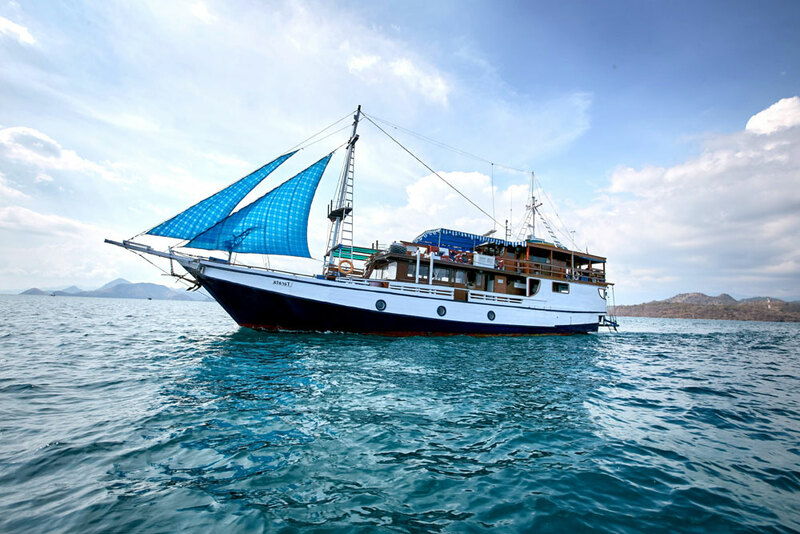 Indeed, the vessel, built in 1995 and thoroughly renovated in 2015, offers great itineraries in the Komodo National Park. The medium sized dive vessel welcomes up to 12 people on each scuba diving expedition. Indeed, with 6 comfortable cabins on-board and enough communal areas, that’s plenty of space for everyone. The air-conditioned cabins provide you with comfortable bedding and plenty of storage space. Plus, each cabin has it’s own private bathroom. Moreover, the cabins either have a double bed, or bunk beds. The Tarata has been fully renovated and the communal areas now have a fresh and lavish look. Indeed, the salon and dining area are looking good and are ready to welcome you on-board to enjoy delicious meals. The cuisine offered is a mix of Indonesian and international fares, served buffet style. Moreover, the salon features a complete entertainment unit with television and CD/DVD players. Furthermore, as you step outside, you will find an attractive sundeck where you can lounge and enjoy the sea breeze. The partially shaded deck is perfect to either read a book or contemplate the stunning views of Indonesia. The dive deck and dive platform of the Tarata are fully functional and well organised. Indeed, with 12 individual kitting up stations and the nearby compressor, your tanks are easily filled all week. Plus, there’s plenty of space so it never feels cramped to get your gear on and off. Also, the platform displays a convenient fresh water shower. The professional team of scuba diving instructors and dive guides are always nearby to help and make sure you get the best out of your experience.